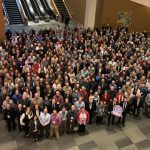 More than 350 delegates and staff of the Ohio Farm Bureau joined for a group photo, celebrating the start of their centennial year. 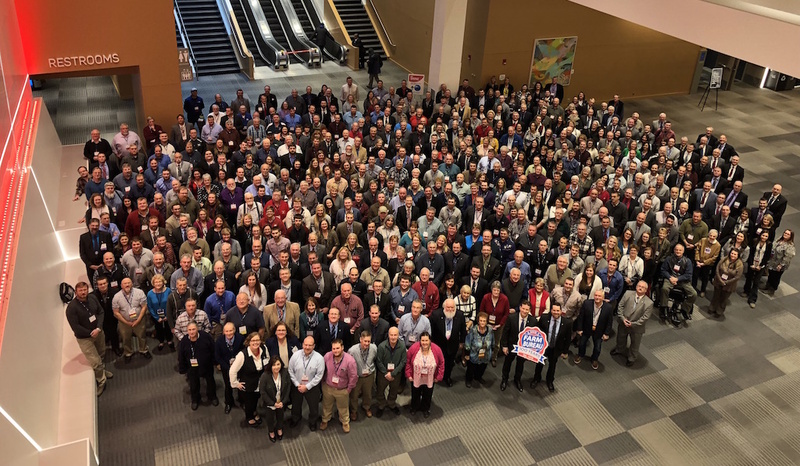 COLUMBUS — The Ohio Farm Bureau Federation kicked off its centennial celebration during the 2018 annual meeting, which opened today at the Columbus Convention Center. 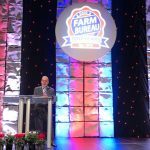 The Ohio Farm Bureau was founded Jan. 27, 1919, on the campus of Ohio State University. 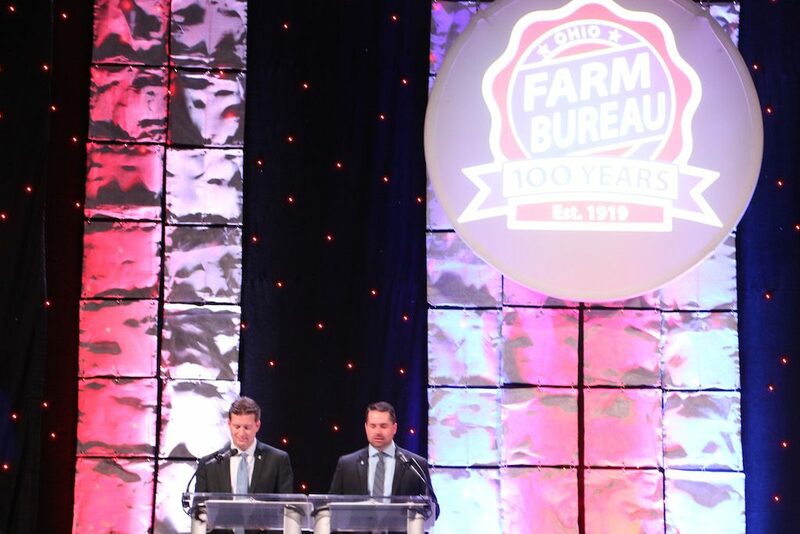 Many county Farm Bureaus were formed prior to the state federation’s creation. 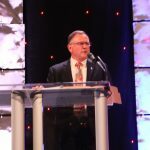 The year-long commemoration includes a new logo that is rooted in the early logo, a book tracing the organization’s history, promotional clothing and gift items with the new logo, and a free concert with Chase Bryant Dec. 7 at the convention center, free to members only. Launching a new Centennial beer from North High Brewing, a Farm Bureau group member. Placing a new historic marker on Ohio State University’s campus that commemorates our founding on Jan. 27, 1919. Painting our vintage inspired Centennial logo on Ohio barns across the state. 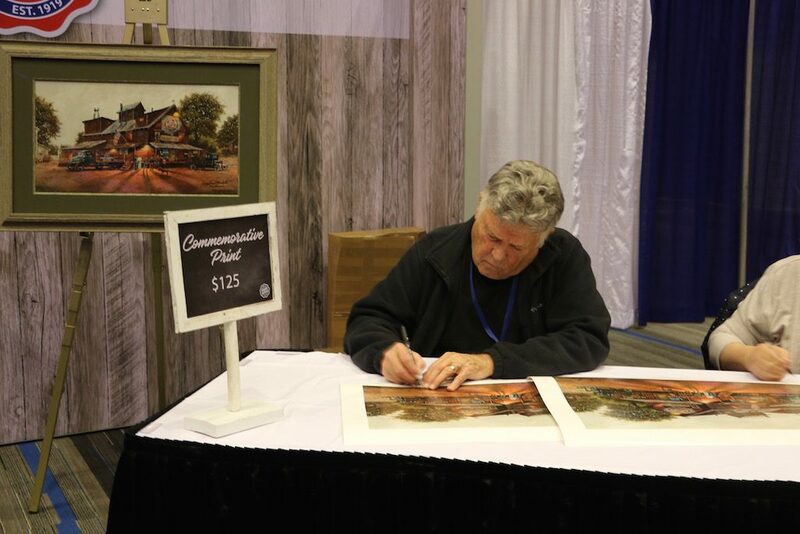 A special Centennial exhibit at the 2019 Ohio State Fair. 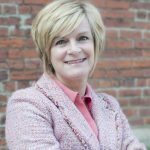 Throwback Thursday history highlights on social media. 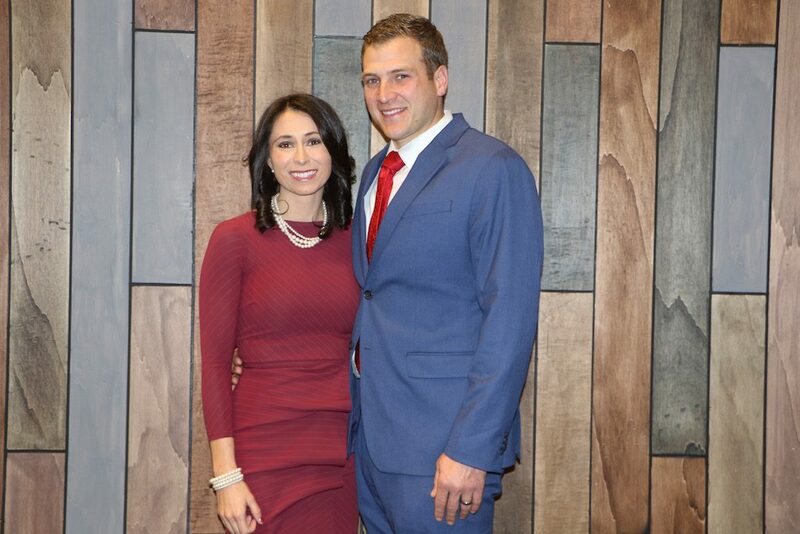 A limited release Centennial wine from The Winery at Wolf Creek. 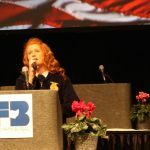 More than 340 voting delegates were present on opening day. 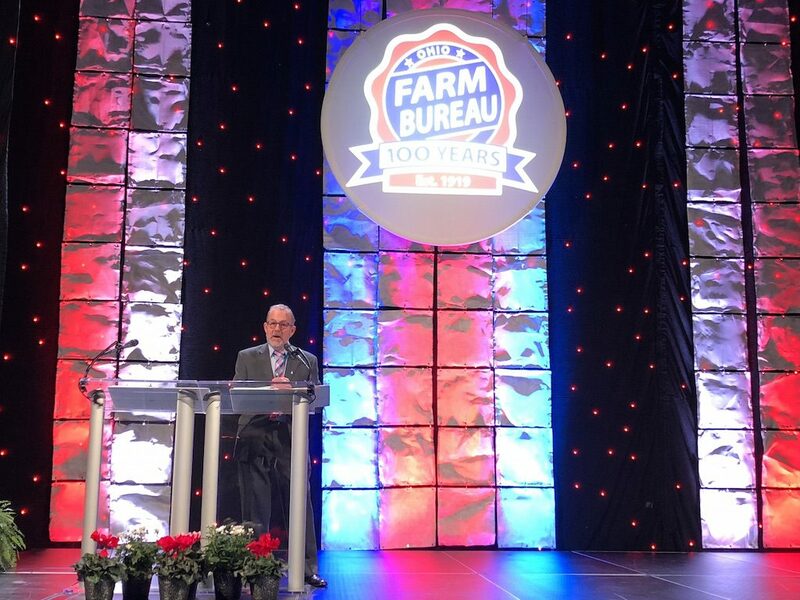 “The fact that we’re here, celebrating 100 years, is a really big deal, and you are a part of that,” OFBF President Frank Burkett told the delegates and members during his address. 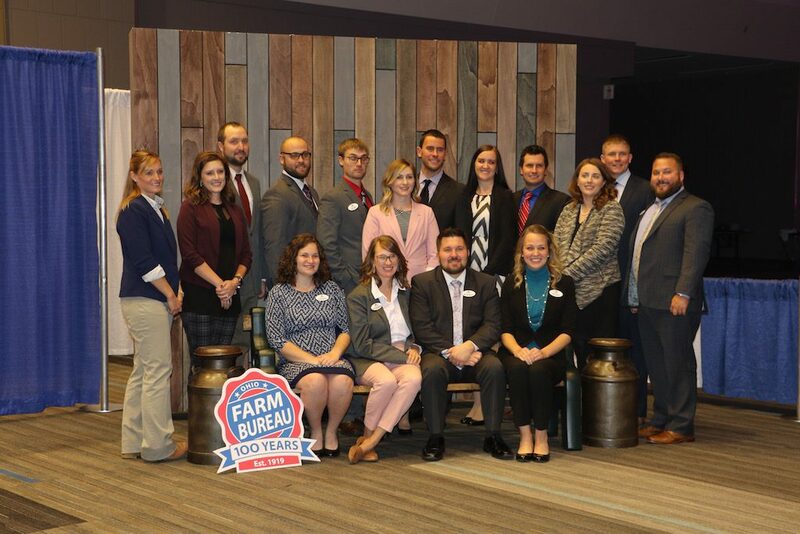 Prior to the official start of the policy development session, members honored 2018 Discussion Meet winner Annie Specht, Outstanding Young Farmers, Nick and Brandi Anderson, and Excellence in Agriculture winners Adam and jess Campbell. 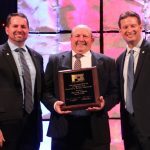 Two longtime volunteers were also honored with the organization’s Distinguished Service Awards: Dennis Heyob, Hamilton County, and Charles Lausin, Geauga County. 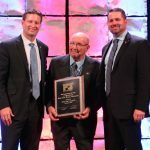 The late Alfred DiVencenzo was received the Cooperative/Agriculture Educator Award, and James Bachmann received the Ezra C. Anstaett Heritage Award. 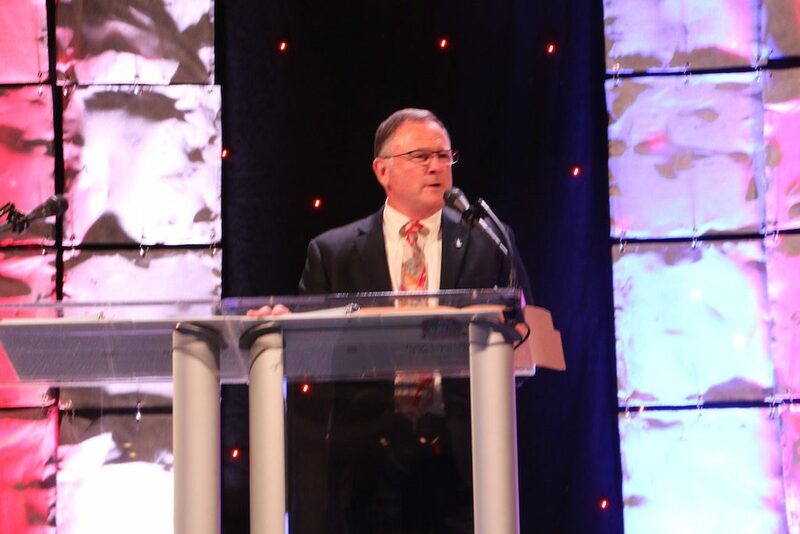 Medina County's Mike Boyert welcomes members to the annual meeting. 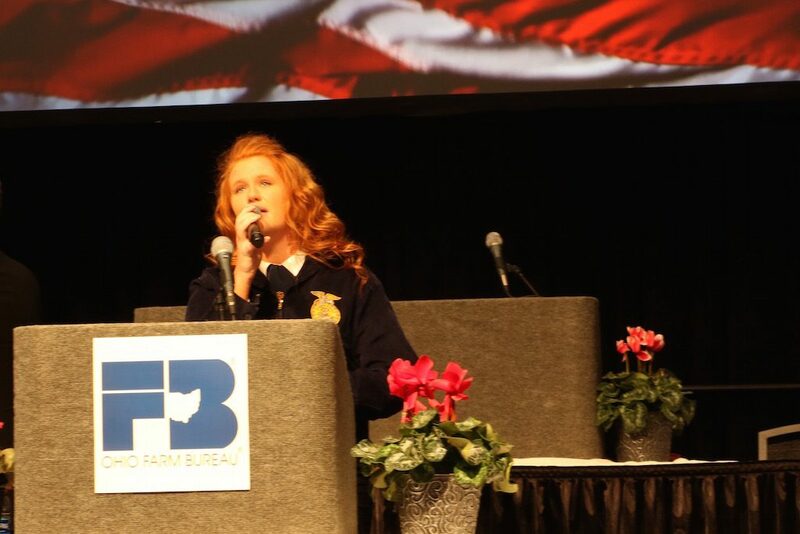 Columbiana County's Megan Drake sang the national anthem to open the official delegate session. the Ohio Farm Bureau celebrates its 100th year in 2019. 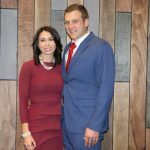 Ohio Farm Bureau's 2018 Excellence in Agriculture winners Jess and Adam Campbell. 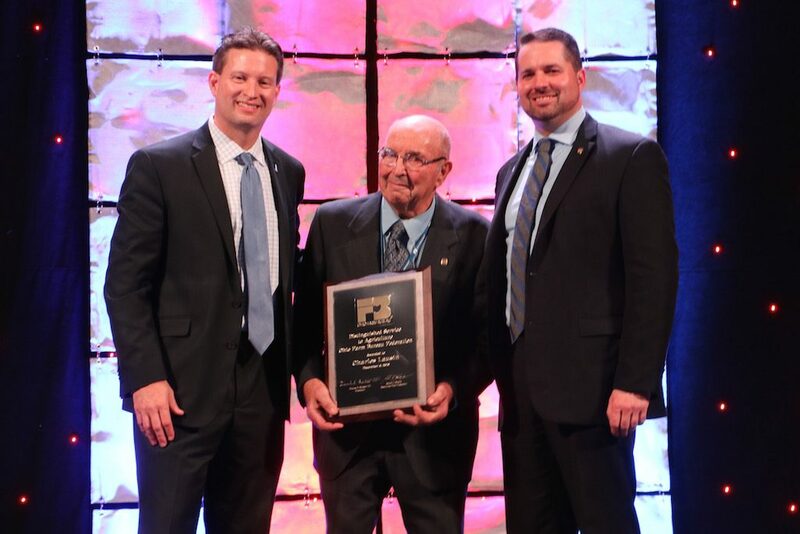 Charles Lausin of Geauga County, received the Ohio Farm Bureau’s Distinguished Service Award. 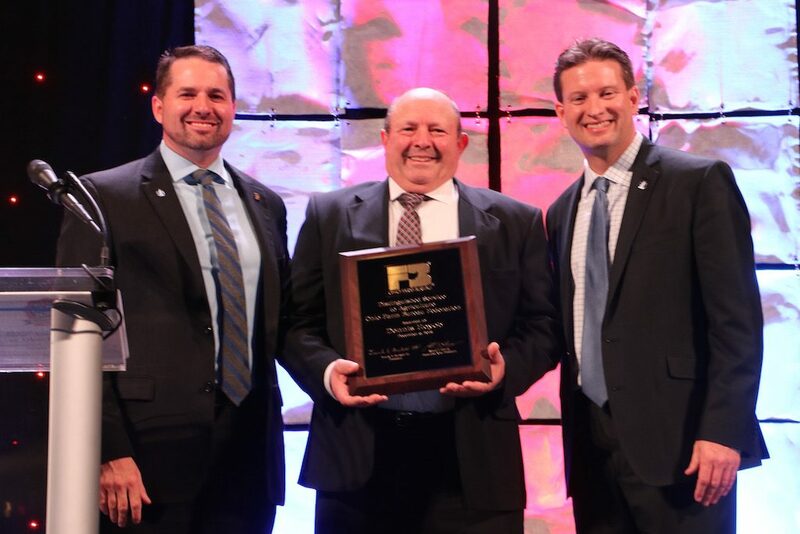 Also pictured are OFBF Executive Vice President Adam Sharp (left) and president, Frank Burkett. 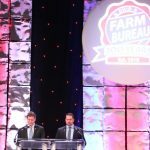 Ohio Farm Bureau Executive Vice President Adam Sharp (left) and President Frank Burkett. 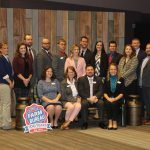 The OFBF state Young Ag Professionals Committee. 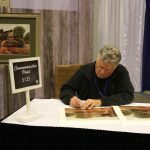 Artist Dave Barnhouse signs a commemorative print available during the OFBF centennial celebration.